Macie had a very fun Halloween night!! We went with the Carrell's and the Stevenson's to the Prestonwood Fall Festival in Plano. 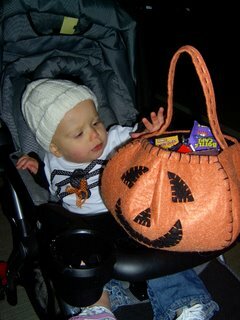 Macie had a great time playing games - bean bag toss, fishing, soccer, horseshoes... and many more - and won LOTS of candy!! She and I went down a BIG slide... pretty scary! We even went on a very fun train ride!! 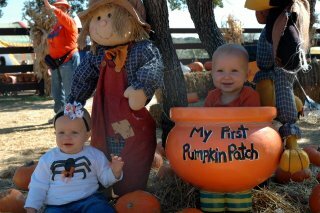 Macie and Jackson had a great time at the Flower Mound Pumpkin Patch today. 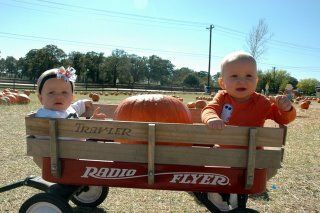 They went on a hayride and rode in a wagon through the pumpkin patch. It was so much fun! 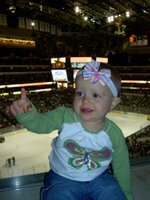 We had a great time at the Dallas Stars game last night! 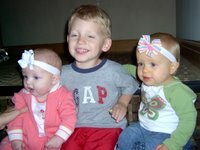 We were in a suite which was perfect for Cade, Makynli and Macie. They had so much fun running around, dancing and cheering for their favorite hockey team! Yea Stars! They win 5-4! 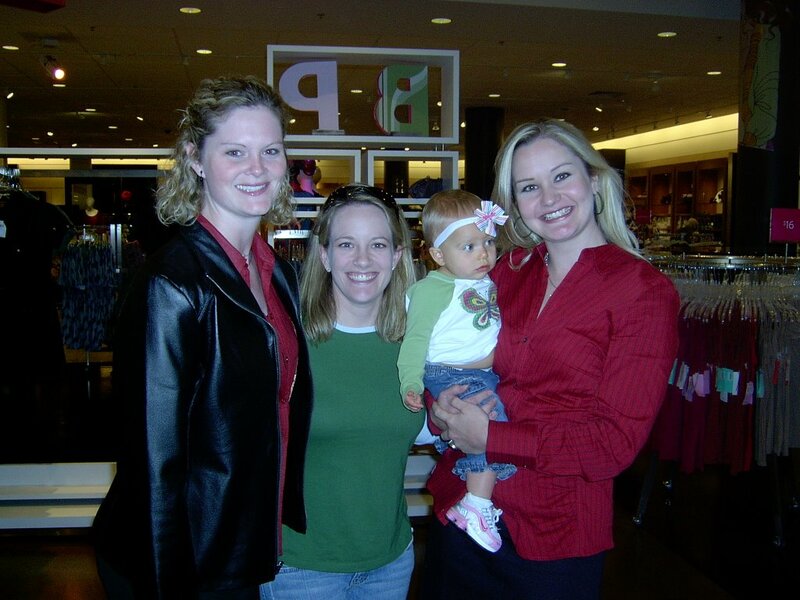 We met Amber & Stacy today for lunch at Northpark Mall. Amber & Stacy are two of my best buds from high school. We had a great time visiting with them! Macie loved the giant pumpkins at the mall! 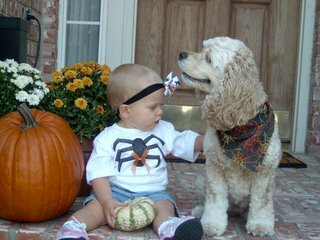 Macie & Lexie are excited about Halloween. They look so cute in their matching spider shirt and spider web bandana!! 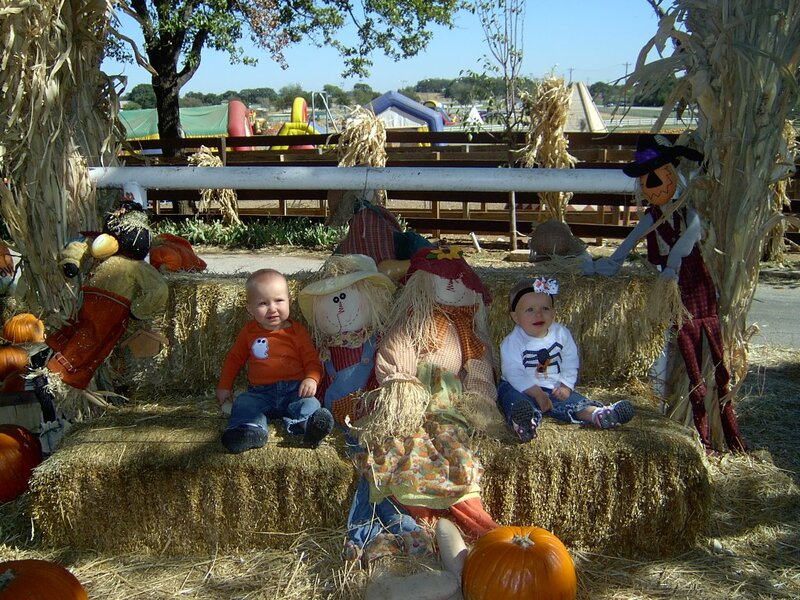 They are definitely in the Halloween spirit! 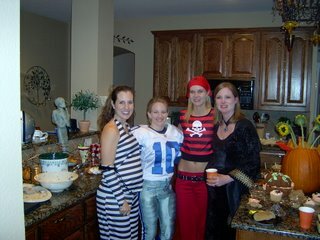 The Supper Club Halloween Party was tonight!! We had so much fun! Tiffany and Ryan hosted it and did a great job! Tiffany served a wonderful meal of appled stuffed roast pork loin, rice, and white bean vegetable soup. 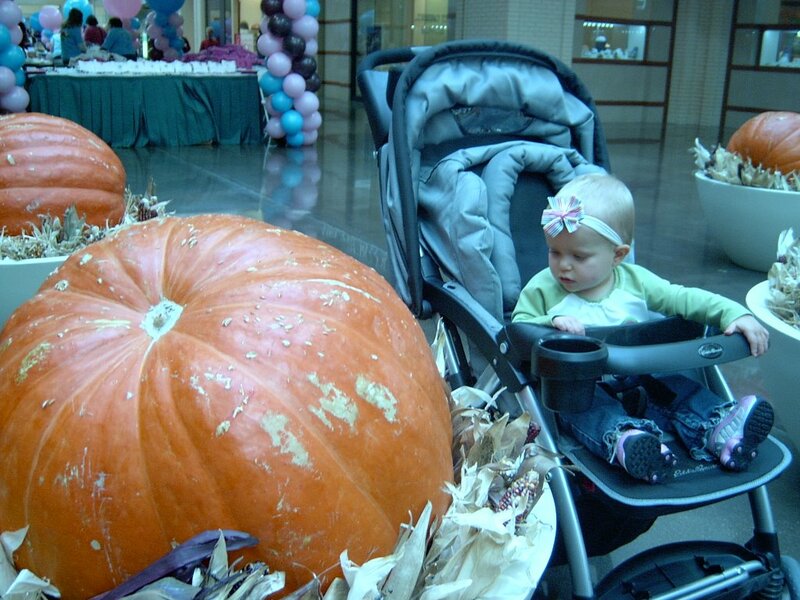 We even ate the soup out of small sugar pumkins! She made a spice cake in the shape of a pumpkin, and spider web cupcakes! 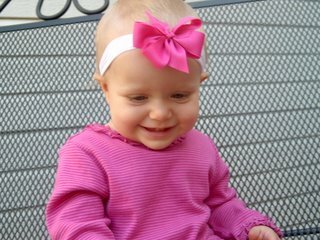 And she did all of this being 9 months pregnant - WOW!! Great job, Tiff!! 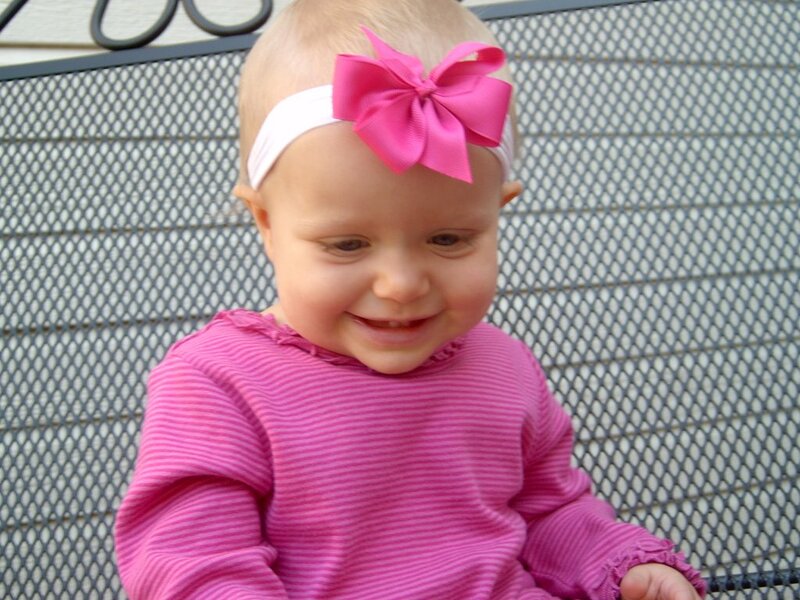 Macie is 13 months old!